Harrison High School is proud to provide a safe and positive learning environment for high school students in ninth through twelfth grade. 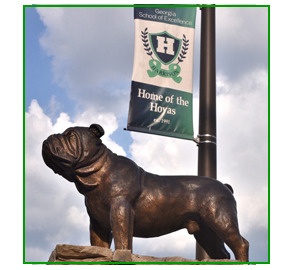 As a Georgia School of Excellence, we exemplify excellence in academics and offer highly ranked curriculum and programs. We invite you to learn more about our school, our staff, and the many other things that make our school unique.